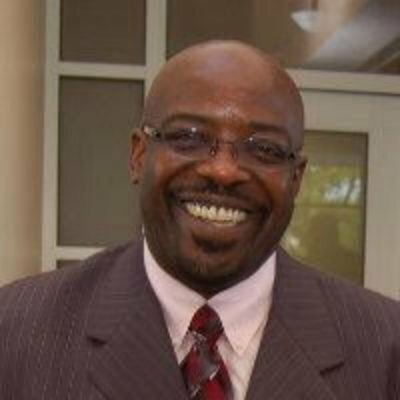 Dirrick Simmons, MBA, Senior Occupational Safety & Health Consultant with Circle Safety & Health Consultants, LLC, has more than 25 years of experience in safety across a variety of industries, with work that includes policy and program development, training and auditing. Simmons possesses the knowledge, organizational skills, and communication style necessary to make a difference in the safety practices at the organizational, leadership and employees levels. It started with my military background: I was in the Coast Guard, and so safety and emergency response just happened to pique my interest. When I came off of active duty, I wanted to go back to school; I researched it, and I found that the safety profession would be a good fit for me. It’s about being able to understand your work environment, first of all. It is also about being able to communicate with people—both in writing, and verbally. Communication is probably the biggest part. Having that ability to communicate, understand your work environment, and just wanting to help people help themselves is important, because that’s kind of what the profession is all about. And, it’s also about educating people, and just reminding them [and equipping them] to stay focused. For someone in the safety profession, it helps to be well-rounded, and you have to have and use resources available to you, so that you can understand your clients’ operation [especially in my case, as a consultant]. Understanding the operation is one of the biggest things, and you can apply all your safety principles to fit that operation. Looking at the entire operation allows you to see where the risks are, and that way, once they are identified, you can address them. It’s important to be able to identify the risks, and that way, you can manage them. It’s also about educating people. It’s not just about the regulatory aspect, but about true safety concepts and how you apply them to your day-to-day life. …I also teach as an adjunct professor. I teach Occupational Safety and Health, and Enterprise Risk Management. One of the things that I tell my students: ‘We do pre-plans or risk assessments in our head every single day without even realizing it.’ For instance, when you wake up in the morning and you watch the news; it’s something as simple as checking the weather, but then you know what the weather is going to be. If it’s going to be a cold day, you know how to dress. If it’s going to be a hot day, you know how to dress. You know if it’s raining or snowing, what do you do? You put on warm clothes or some clothes that’s going to keep you dry; that’s your risk assessment. You don’t want to run the risk of catching a cold or getting sick, so you take all the necessary precautions. You basically just performed a risk assessment, and it’s actually that simple—and also, that complex. I’ve seen some pretty bad injuries throughout my career and while I was in the military. Understanding safety precautions is behind that. Being in the Coast Guard, safety is always first, and prevention was key. Seeing how people are treated if they have an on-the-job injury, and making sure that they’re taken care of has changed me. And then, understanding how these incidents happen, and trying to prevent them. When you work a search and rescue, you’re helping someone when they’re in their most vulnerable state. You try to find out how they ended up in that situation, and learning what you can do to prevent it. There are still a lot of people that take their safety for granted. I think people could have a better understanding of why people—like myself—why it is that we do what we do. It’s all about us helping them to help themselves. Doing consulting work, I watch people on how they go about their jobs every day. They want to get the job done, but sometimes you see shortcuts happen to accomplish a specific task. They take risks—unnecessary risks. They don’t take the time, sometimes, to think about what they’re doing before they do it. I would have to say communication is definitely a key, but I think it’s one just having that desire to help people, and being a compassionate person.